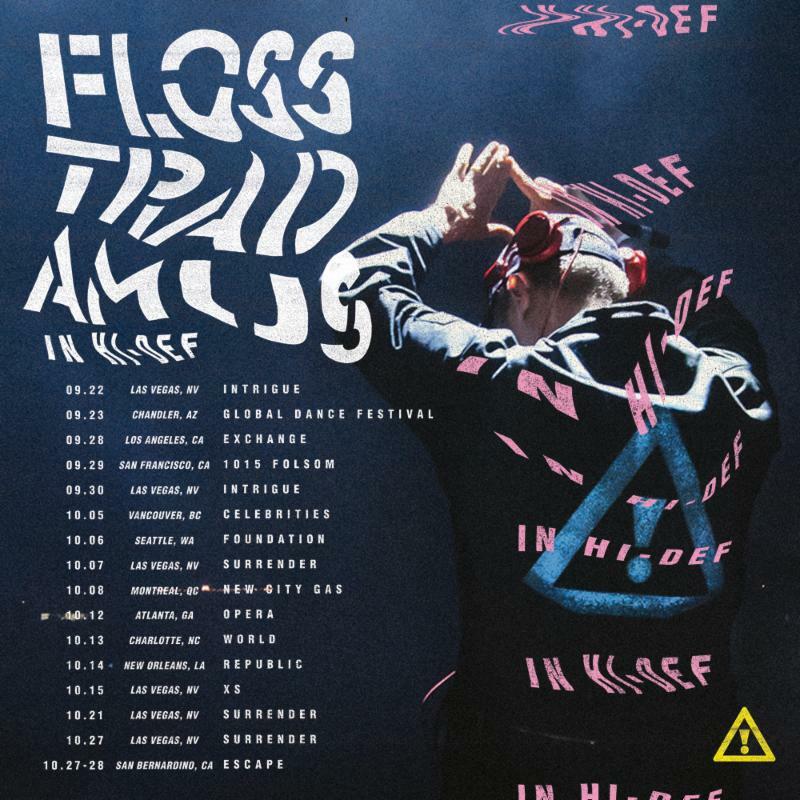 Trap titan and production impresario FLOSSTRADAMUS today (August 15) announced the details for his intimate North American fall headline tour “Flosstradamus: In Hi-Def.” Targeting select venues from coast to coast, he’s planned a special set locked and loaded with throwback trap anthems, house hits, signature bangers, and, as he puts it, “other weird joints I’m feeling at the moment.” Tickets go on-sale this Thursday, August 17 and Friday, August 18 (depending on the respective market) HERE. The five-week jaunt kicks off Friday, September 22 at his residency at Intrigue in Las Vegas, NV and hits major markets across the States before wrapping up Sunday, October 28 at Escape Wonderland in Southern California.. Look for Flosstradamus (Curt Cameruci) to tour “In Hi-Def” through Phoenix, Los Angeles, San Francisco, Vancouver, Seattle, Atlanta, Charlotte and New Orleans. Check out the full itinerary below. “In Hi-Def” follows the success of his 2017 Ultra Music single “How You Gon’ Do That” [feat. Cara]. Not only did the track already crack the one million mark on Spotify, but it also earned praise straight out of the gate from Entertainment Weekly, Your EDM, Dancing Astronaut, Las Vegas Weekly, Run The Trap and more. Most importantly, it sets the stage for more new music to come soon. Make sure to experience Flosstradamus like never before and “In Hi-Def” this fall. This entry was posted in FLOSSTRADAMUS, Press Releases. Bookmark the permalink.